At the dawn of the twentieth century, the sciences were becoming an increasingly important part of the liberal arts curriculum, and the construction of the new Muhlenberg College campus at Chew Street sought to accommodate that need. 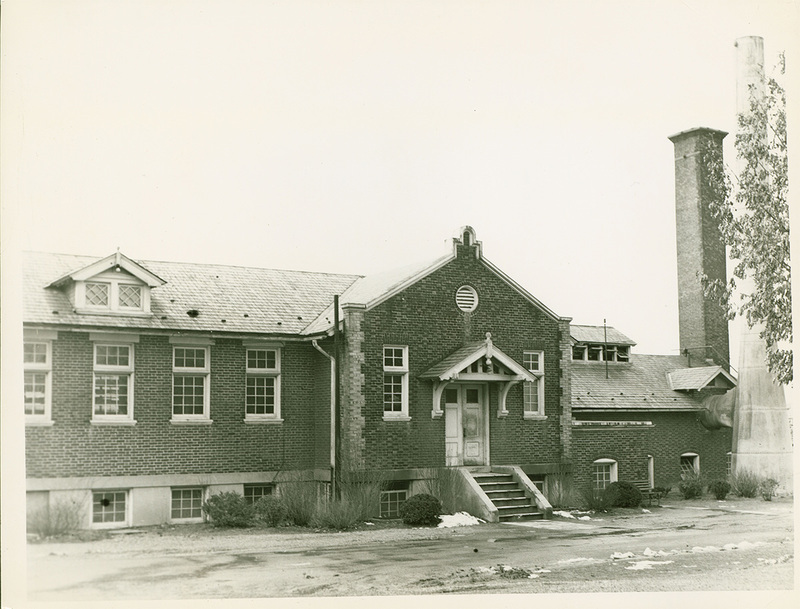 In planning for the Power House, one of the original four buildings on campus and an important component of a modern campus with up-to-date amenities, the administration made space for a chemistry lab, which comprised the second floor of the building. “In the basement is the engine room while a northern wing of the building contains the boiler room. A dynamo of 125 volts supplies the buildings with electricity. The buildings are heated by steam.” (The Muhlenberg, January 1905). The original T-shaped building was constructed of brick. 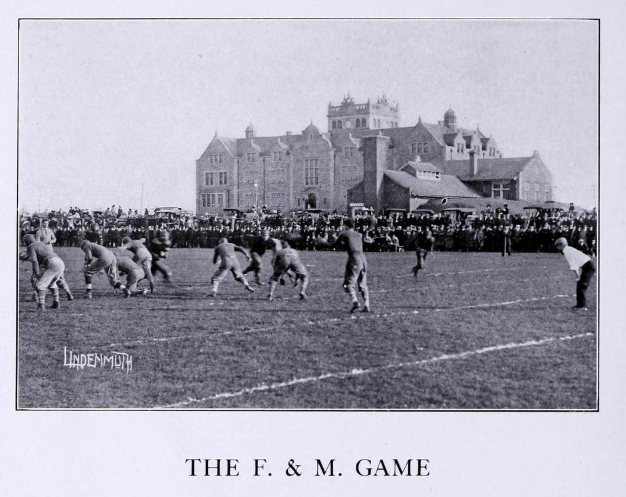 Within a year or two, the chemistry facilities were already deemed too small, and by 1909, the building had been expanded to include a west wing. 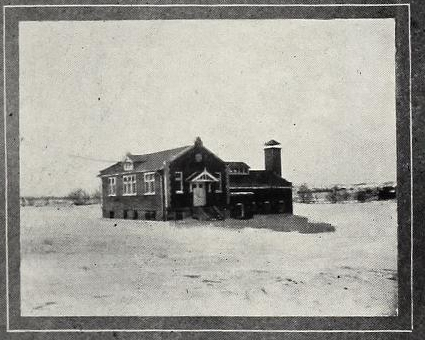 In the 1912 yearbook, the Ciarla, it is being referred to exclusively as the chemical laboratory. By 1917, a tool house for the College gardener had been constructed nearby, as the complex began to grow. 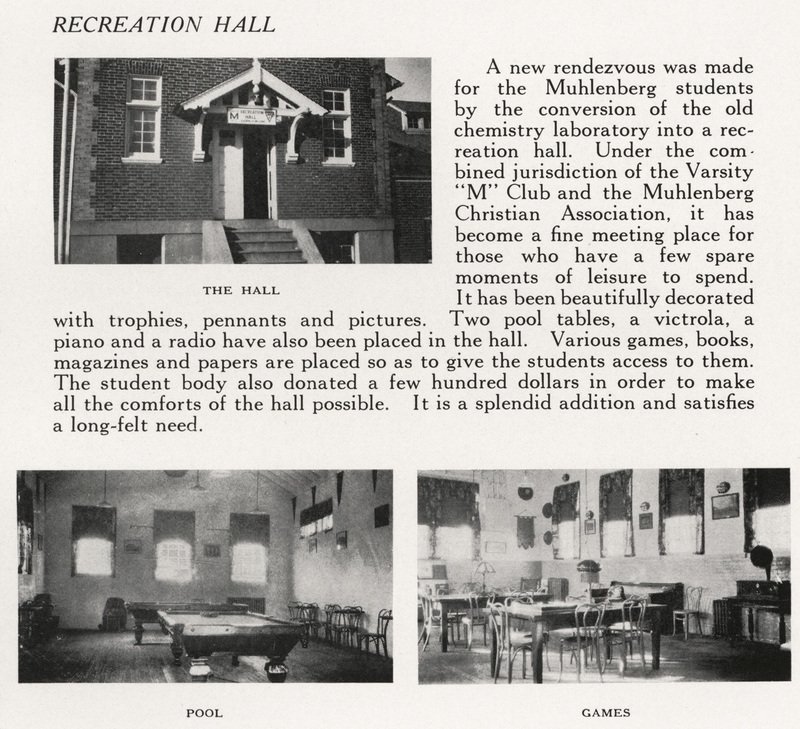 Once the Science Building (Trumbower Hall) was completed in 1926, the space used for laboratories could be repurposed, and the building became known as the “Rec Hall,” with amenities including pool tables, a victrola, and a radio. In 1990, the College's post office and printing shop were added to the complex. 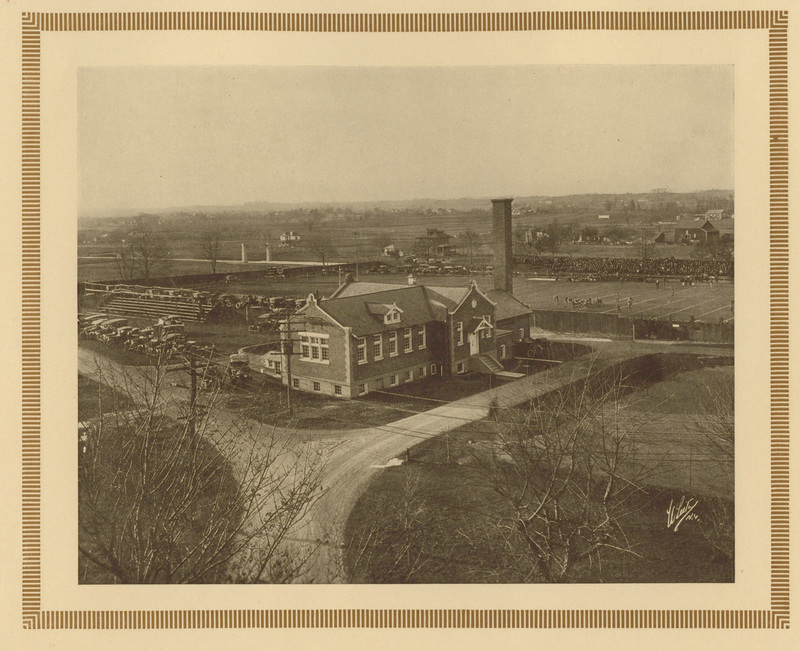 Special Collections & Archives, Trexler Library, Muhlenberg College, “Services Buildings Complex (1904),” Muhlenberg Pathways to Present, accessed April 23, 2019, http://pathways.trexlerworks.muhlenberg.edu/items/show/34. Published on Aug 28, 2018. Last updated on Sep 21, 2018.